Glucans, though they are not toxic to humans themselves, stimulate the human immune system to attack. It was not until the 1970s and 1980s that scientists were able to isolate glucans from their fungal sources in order to study the direct effects of glucans. While much of the work appears promising, the scientific community has not yet accepted the benefits as fact. Many private studies have been performed to back up claims made by researchers and manufacturers alike, and despite their limitations, most findings show that glucans are helpful at reducing or eliminating cancer activity by stimulating the cells responsible for their demise. It is important to understand that not all beta glucan is alike. It may be found in medicinal mushrooms, yeast and other bacteria. Cereal glucans are noted in preliminary studies to have immunomodulatory properties and are even used in cosmetics and fiber supplements. Those found in oat cereal can actually lower cholesterol. Glucans derived from yeast and mushrooms are noted to regulate the immune system. Though the use of probiotics, medicinal mushrooms and other healthy bacteria has a history dating prior to any modern medicine, glucans, in respect to their more traditional origins, are a rather new concept. Studies have repeatedly shown that beta glucan has extreme potential for boosting the immune system. While many supplements are thought to do this, beta glucan can be proven over the course of several decades, and it is even concluded that the supplement is not broken down by the digestive system as some had previously suspected. It has also been shown to significantly reduce cholesterol and improve heart health. In Japan, it is commonly used as an immune system stimulant for those with cancer, showing reduction in tumor size and decreased number of tumors. 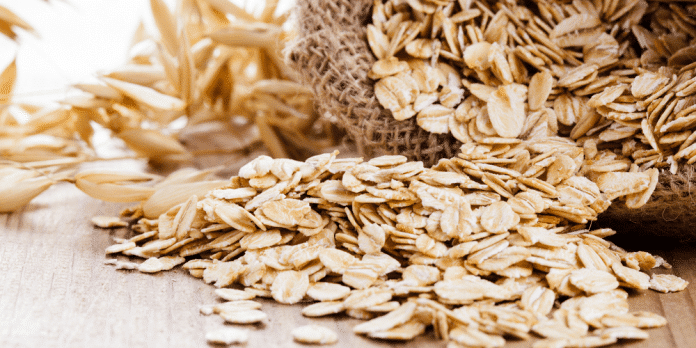 Because of its many immune boosting benefits, it is thought that beta glucan can prevent upper respiratory infections, the common cold, and bacterial and viral infections. It is also thought to help reduce disease activity in those with compromised immunity, such as those with HIV and rheumatoid arthritis. In Brazil, in 1996, the State University of Sao Paulo published findings in the American Journal of Tropical Medicine. They found that beta glucan, by increasing the phagocytosis of antigens, activated a formulation of colonies beneficial to the immune system. Put simply, it increases the number of macrophages, as well as strengthening them and enlarging them, along with the chain reaction of antigens. This all leads to a stronger immune system. More recently, in 2001, the Department of Microbiology at the University of Nevada School of Medicine found that beta glucan actually aids in the ability to kill cancer cells. They “additionally enhance the ability of macrophages, one of the most important cells in the immune system, to kill tumor cells.” The lab study found that glucan is highly effective in activating these macrophages. In addition, the Baylor School of Medicine has conducted studies concerning the effectiveness of beta glucan in boosting the immune system, and many scientific studies done since this time have reaffirmed their findings. When mice were fed the glucan, macrophages significantly increased the response in the immune system of the mice that were studied. This study also reflects that supplements were not broken down during the digestive process, which means beta glucan can be highly effective when taken in a number of ways. Because of successful research trials, we actually have a fairly concrete idea of the amount of beta glucan needed to fight ailments. Because beta glucan can come from a variety of sources, however, it is still best to check the manufacturers’ directions on any supplements that one considers taking. For example, when beta glucan is made from yeast, it suggested that about 7.5 grams be taken twice daily in order to keep high cholesterol under control. If derived from barley, however, one could need anywhere from 3 to 10 grams daily. In addition to being sold in capsules, beta glucan is also sometimes used intravenously at health care facilities. This is usually to help those with HIV or cancer to prevent infection, and is also used to keep infections at bay prior to surgeries. One should take special caution not to mix this supplement with those that suppress an overactive immune system, as the two may counteract each other. A pharmacist, naturopath or physician should be able to assist anyone with questions regarding safety of this promising supplement.